Wailea is a census-designated place (CDP) in Maui County, Hawaii, United States. As of the 2010 census, it had a population of 5,938. Prior to 2010, the area was part of the Wailea-Makena census-designated place.GeographyWailea is located at .According to the United States Census Bureau, the CDP has a total area of 27.8km2, of which 19.3km2 is land and 8.5km2, or 30.70%, is water.ResortsWailea Resort is a 1500acre, master-planned resort located on Maui's sunny, southern leeward coast. Its development is guided by two important documents: a master plan that allegedly ensures low density and good community planning, and the Wailea Community Association's design guidelines which claim to preserve Maui's island environment in all new building projects. Wailea was named one of the country's 99 Best Recreational & Residential Private Communities in America. Many of Wailea's single-family and condominium complexes offer gated entryways for enhanced security and privacy. Utilities are buried underground, and roadways are landscaped. Nearby are Wailea's many amenities, including restaurants, championship golf courses, tennis facilities, shopping, and beaches.EconomyMajor employers in Walea include the Grand Wailea Resort, Four Seasons Resort Maui, Fairmont Kea Lani, Marriott Wailea Beach, the Wailea Golf Club, Wailea Beach Villas, Tommy Bahama, Spago, Polo Beach Club, Wailea Grand Champions, and Destination Residences Hawaii. Wailea is in Maui. 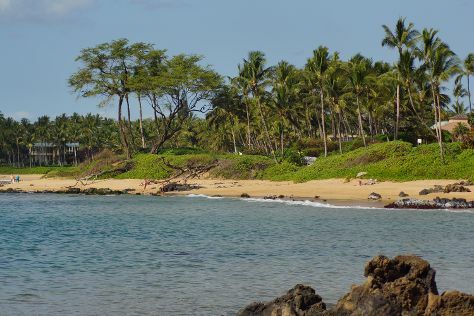 Use our United States tour itinerary maker to arrange the details of your trip to Wailea and other destinations.